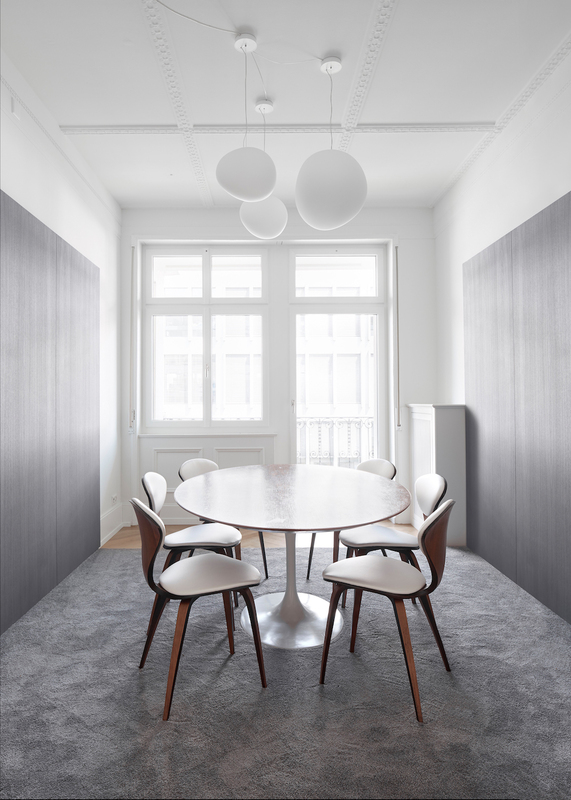 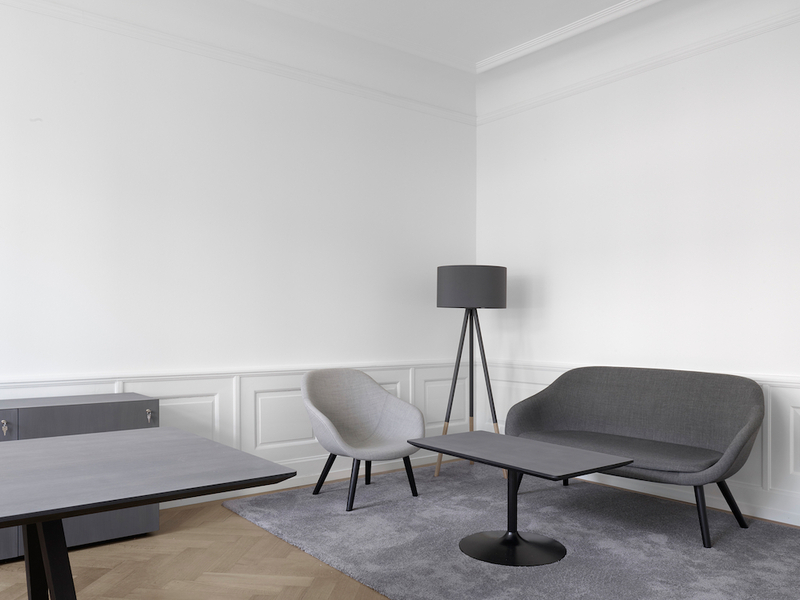 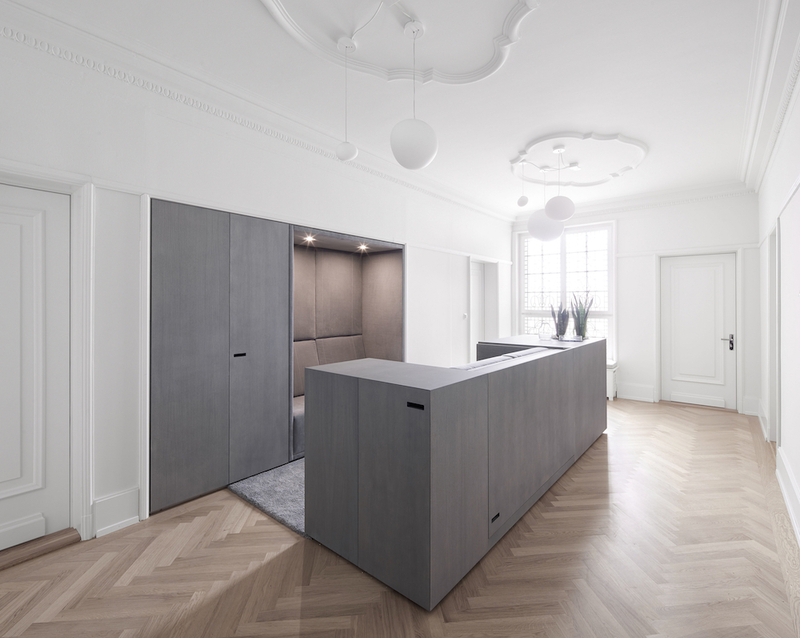 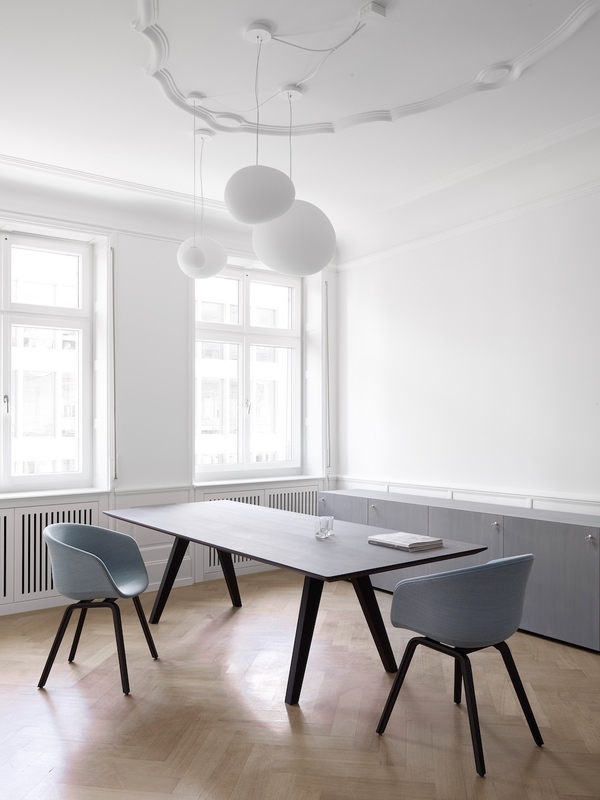 A new design was needed for an investment company moving into an early 20th century building in downtown Zurich. 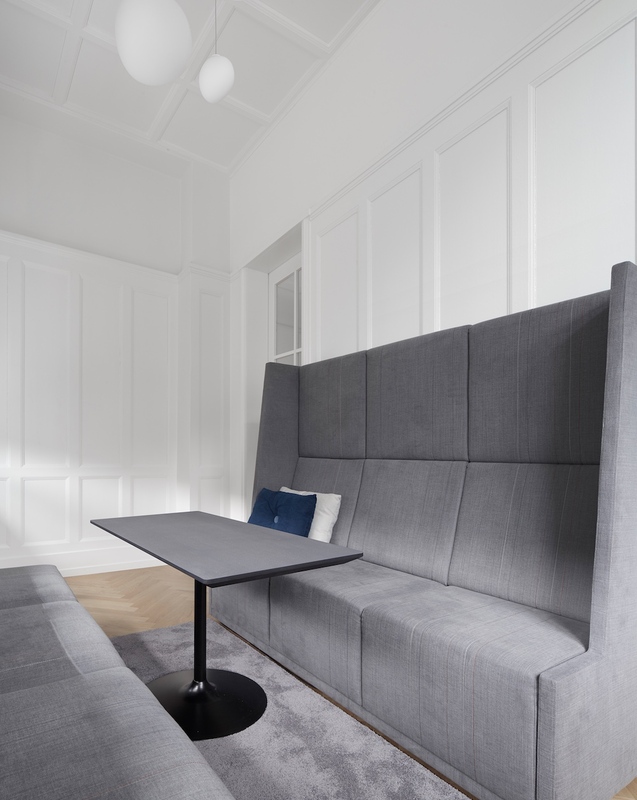 In contrast to the elaborately detailed rooms, new minimalistic furniture and elements where added to implement the required functions. 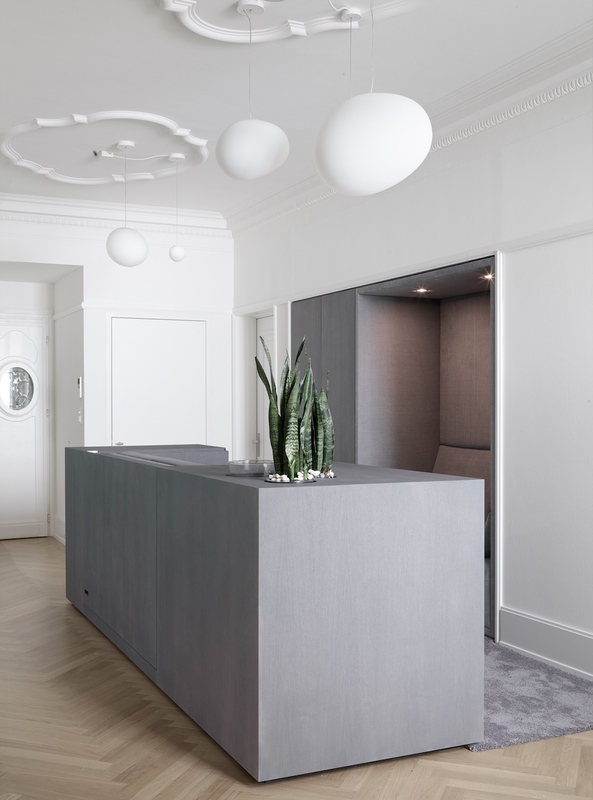 Instead of redesigning the complete office with every surface, specific units were set up in designated areas assembled using repetitive materials in the same color scheme, thereby creating a continuous distinguishable branding throughout the office. 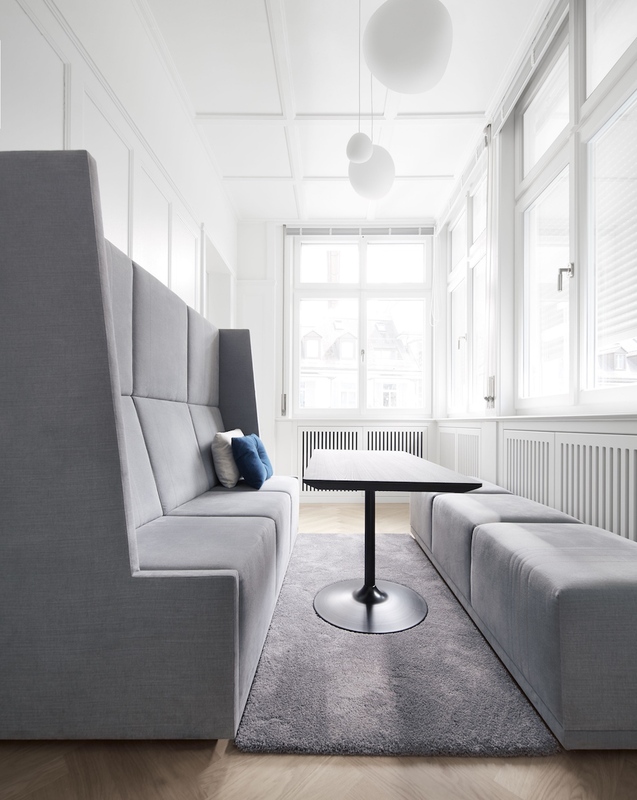 The application of rugs and additional textile surfaces also breaks the otherwise cooler office ambience and create a more living room related surrounding.